Would you remember when you were back in high school and there was this slightly naughty but fairly athletic classmate who disappeared for a couple of years then reappeared on your senior year looking, like celebrity Sam Y.G. would say, “same-same-but different?” You approach him and ask him where he has been and what he was up to, and the classmate goes on to telling a compelling tale of attending military school for discipline and character building while taking new dance classes after school to improve on grace and form? 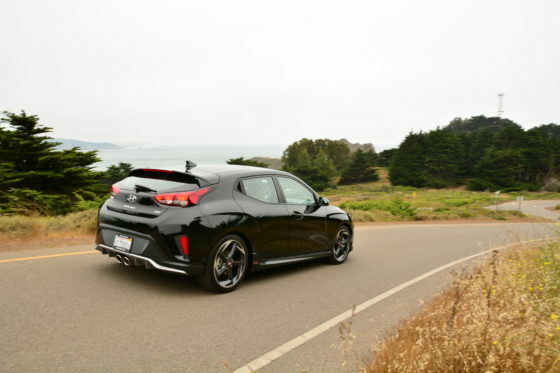 That is what I think about the all-new 2ndgeneration 2019 Hyundai Veloster, and in particular this what they call in North America, as the top-range Turbo Ultimate Black. The appearance may appear very similar and the unique asymmetrical 2+1 configuration of the doors is certainly carried over. 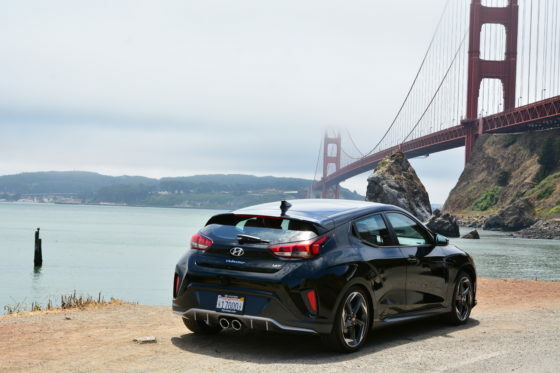 Even the healthy 201 bhp 1.6-liter turbo engine and 7-speed Dual Clutch transmission have been carried over albeit with enough minor retuning to help redefine the little upstart into a genuinely justifiable hot hatch. Even the wheelbase length is the same. But from here on all else is profoundly different. The body is very different, a lot more mature, and focused. 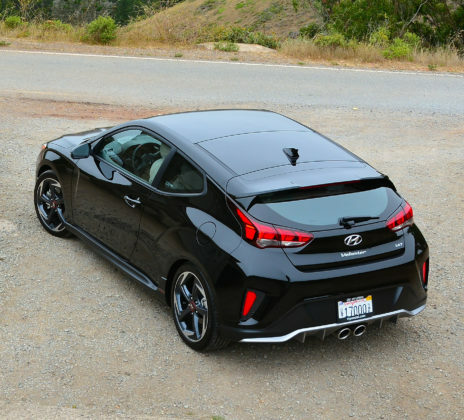 Dimensionally the new Veloster is 0.8-inch longer and 0.4-inch wider with the same roof height, but despite that and considerably better insulation the additional interior cabin space grew enough to create 0.6 inches of headroom. 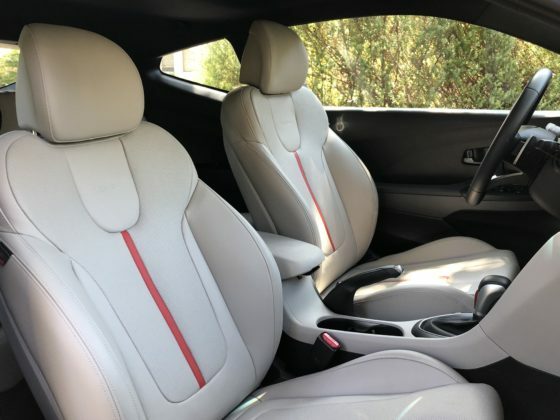 So, the cabin may still seat only four adults but each are much more comfortable now together with the lovely new and supportive seat designs. The trunk is also much larger by about 156 liters. 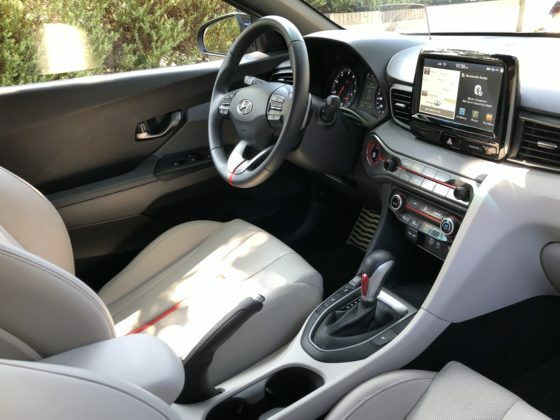 The heavily upgraded interior to match the better sculpted exterior design (the new LED lighting is also very functional and good looking) is leagues better than its predecessor while offering so much more standard equipment. 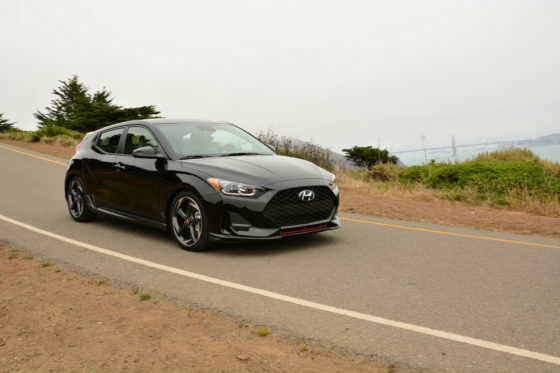 There is an even higher variant with a 275 bhp 2.0-liter turbo powerplant called the N for Namyang and/or Nürburgring depending on who you ask at Hyundai, which was put together with the additional guidance of former BMW M-division folks so I’m confident that the 0-100 km/h time of 5.4 seconds with a top speed of 266 km/h is achieved with consistent confidence. 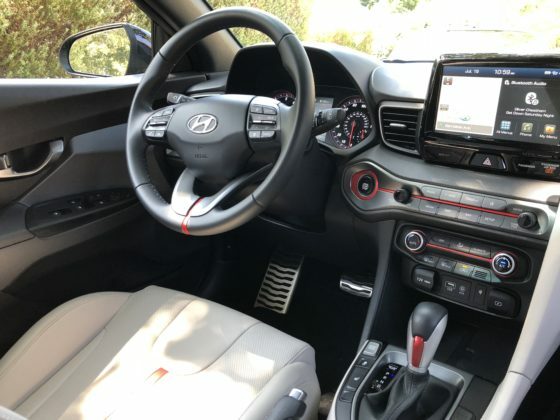 Back to this current top-spec model, which is called the Ultimate because it actually has EVERY option as standard from the tasteful contrasting interior and exterior colors, the Heads-Up display and Infinity-powered multi-speaker premium 8.0-inch infotainment system, to Torque Vectoring and the entire safety suite of Hyundai. 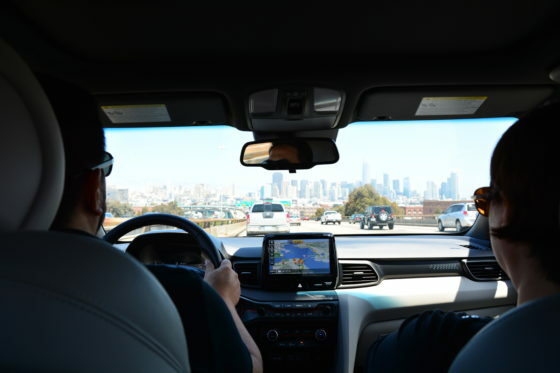 Almost like a smartphone,you can configure almost every nuance feature that the car has from fine-tuning or shutting off the additional exhaust sound enhancement to multiple drive modes and how many times you want the signal light to blink at a touch. 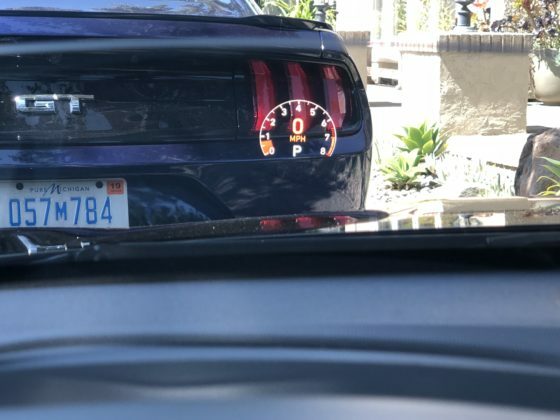 Yes, it can flash more than the usual “3”. 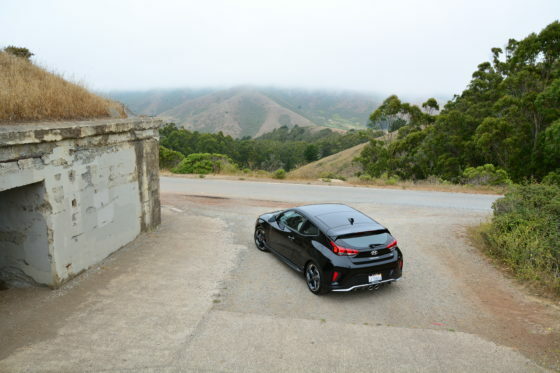 Having the 7-speed DCT is the best option even if it adds about 66 more pounds of ballast over a manual. 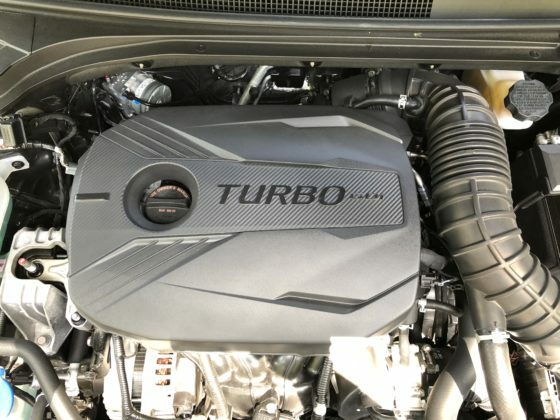 There is a new transient overboost turbo function that forces a bit more twist to 202 lb-ft which actually helps overcome the additional weight and more thanks too to the recalibration of the transmission. 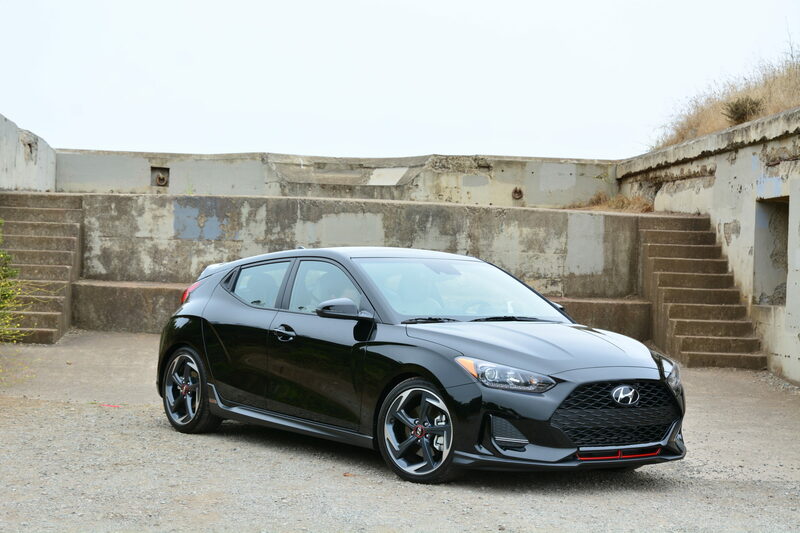 The new Veloster feels much stronger across the powerband while being wonderfully more composed. The biggest mechanical improvement was applied to the rear suspension which is now fully independent with a multi-link replacing the unsophisticated old torsion beam. The new skin combined with 52% more higher-strength steel increased rigidity by roughly 27.8 %. 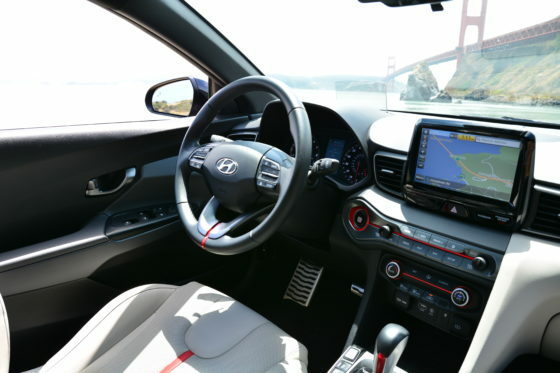 The steering system was also improved beyond the great looking and feeling steering wheel by moving the rack closer to the axle centerline to also reduce toe-change. 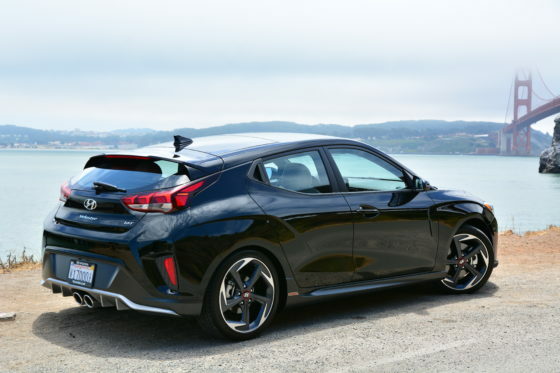 The front suspension now uses aluminum knuckles and the lower control arms have been reconfigured too, so the Veloster drives and feels like a completely different car altogether. 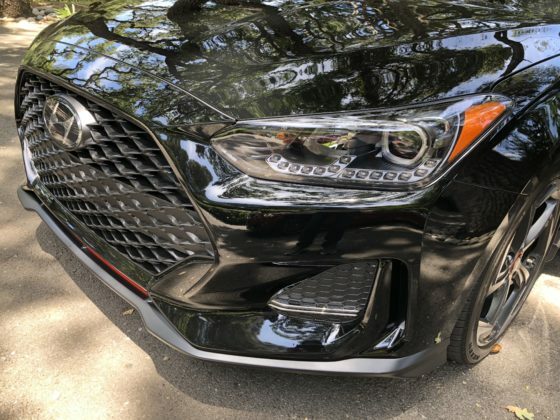 We absolutely enjoyed driving the new Veloster, on paper it may look only slightly quicker, but it is the overall higher-level experience that can be enjoyed daily at a very affordable price that makes this dark horse very compelling. Packaged equipment may not find its way to our local models, 275 bhp N-variant even more amazing!